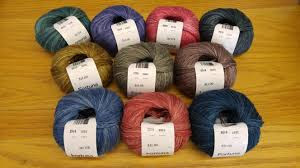 You can tell by the number and variety of linen based yarns that we have created for our knitters and crocheters. Linen fiber has been around for tens of thousands of years. Evidence of linen fibers have been found in archaeological sites that date back 30,000 years. There are plenty of good reasons that people have been creating with linen fiber for so long with no end to the popularity in sight. 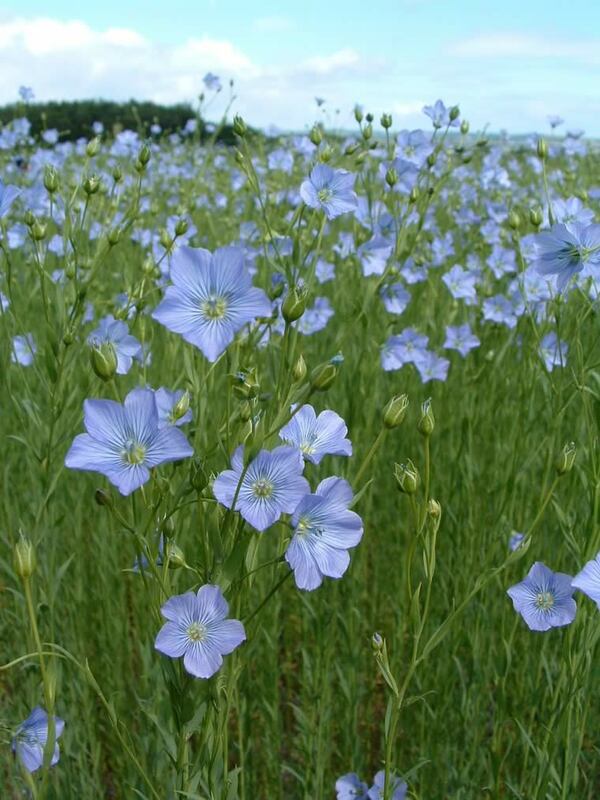 Linen is a product of the flax plant, a renewable resource that provides a lasting and durable fiber. Linen can be knit at a variety of gauges to create everything from strong and sturdy market bags and dish cloths to gently flowing shawls and drapey garments. Linen can also be combined with a myriad of other fibers to create yarns that are softer, thicker or have other pleasing qualities. When we create a new yarn with linen, we start with the finest fibers available to us. 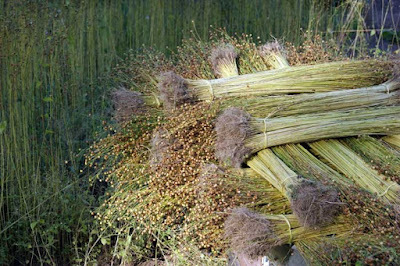 We then have the mills mix and blend the fibers we have chosen in the combinations we desire, to create our own unique blends. This provides our designers with the exact yarn qualities desired, so they can create garments and projects perfectly suited for each yarn. 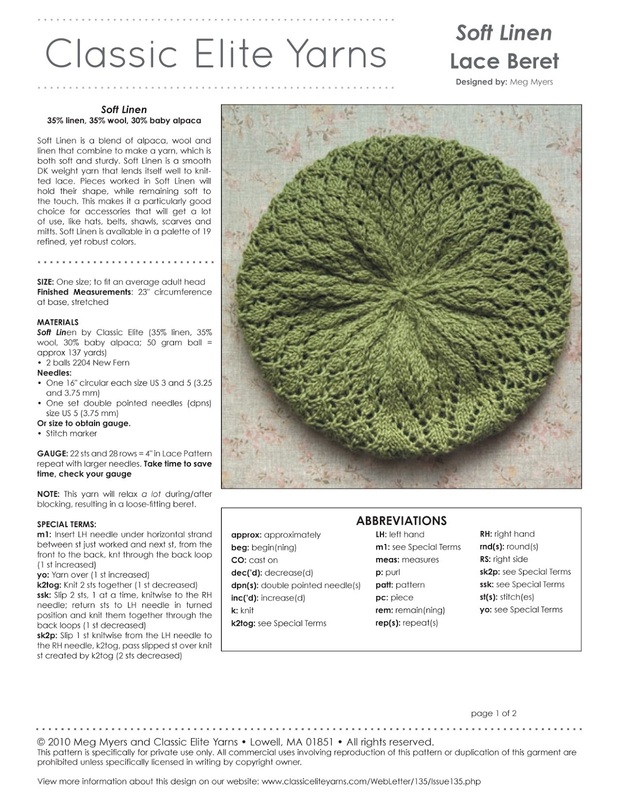 Hanako is our newest linen blend yarn. Introduced in March 2017, it is a versatile blend of 50% linen and 50% cotton in a worsted weight. 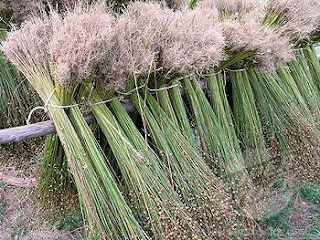 Our design team has used it in shawls, sweaters, hats and bags. The addition of cotton to the linen gives Hanako body and structure that linen alone lacks. Milled to our specifications in Peru, Hanako is sure to be a favorite for years to come. 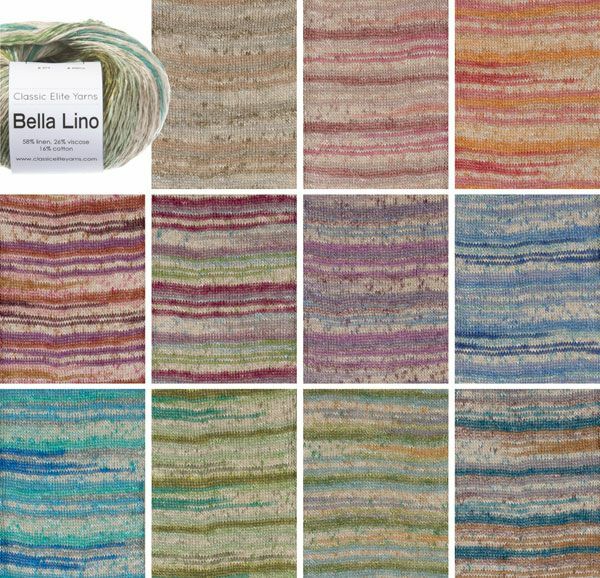 Bella Lino and Fortuna are two yarns created from the same blend of 58% linen, 26% viscose (another natural fiber) and 16% cotton. Fortuna is dyed with a tonal effect while Bella Lino is a subtly striped version. These yarns are lighter weight and are excellent for summer sweaters and shawls. They are standout yarns by themselves and can also be used together in the same project for endless color combinations. Another CEY favorite is Soft Linen. 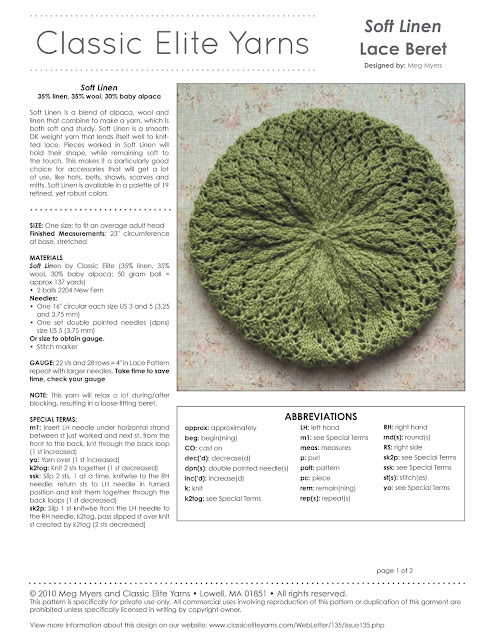 This incredible yarn combines linen with wool and baby alpaca for stability, softness and a slight halo. With its sophisticated color palette, Soft Linen is perfect for sweaters and accessories. Just take a peek at all our patterns for Soft Linen and you will see why we have kept it in the line for so long. 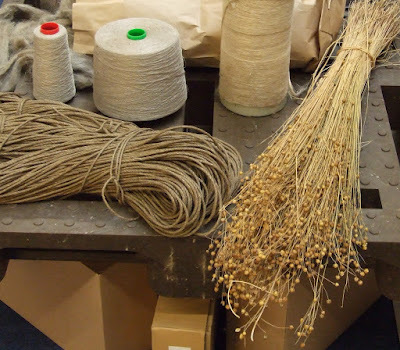 As you can see, we clearly love the properties of linen and how it blends with other fibers to create unique and wonderful yarns. 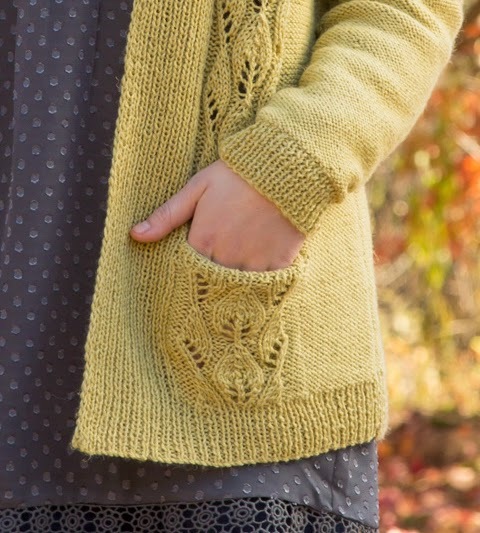 If you have never knit with linen or a linen blend yarn before, we encourage you to give it a try. A pure linen yarn, or a blend with a high linen content may feel “rough” while you are knitting with it, but after washing and wearing, you will feel it soften to the touch. Linen garments are extremely wearable especially in warmer climates as linen is breathable and has moisture wicking properties. Linen is also non-allergenic and therefore an excellent choice for the knitter who can not work with wool.You can find all our outstanding designs with these lovely linen blend yarns on the CEY website and on Ravelry. Look to linen for your next project and you will keep coming back – as makers have for thousands of years!